This good-for-you avocado egg salad ups the traditional Avocado Toast ante. It’s packed with protein and healthy fats and we sneak in some other goodies like Kale and Greek yogurt. We promise, you won’t even miss the mayo! 1. In a medium bowl, mix the eggs, avocado, kale, Greek yogurt, lemon juice, Giuliano Capers. 2. Mash the mixture with a fork. 4. 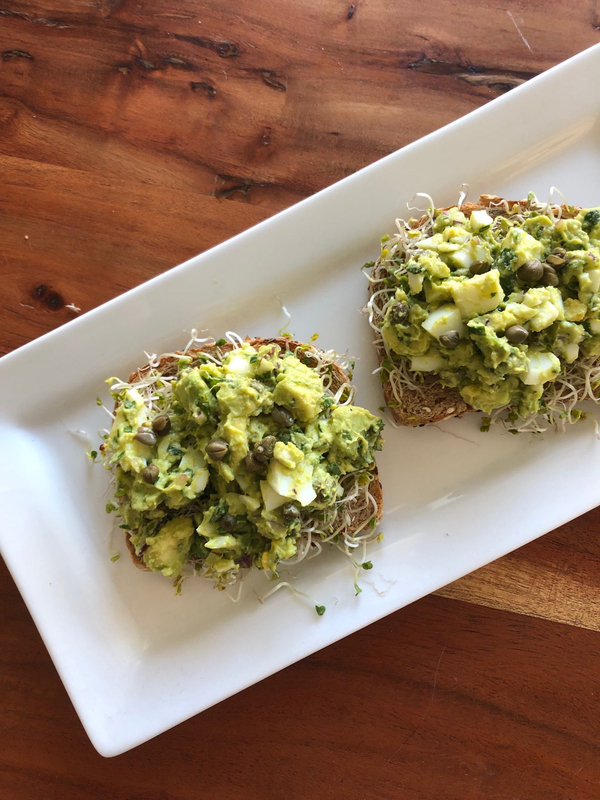 Top toast with clover sprouts and Avocado Egg Salad.